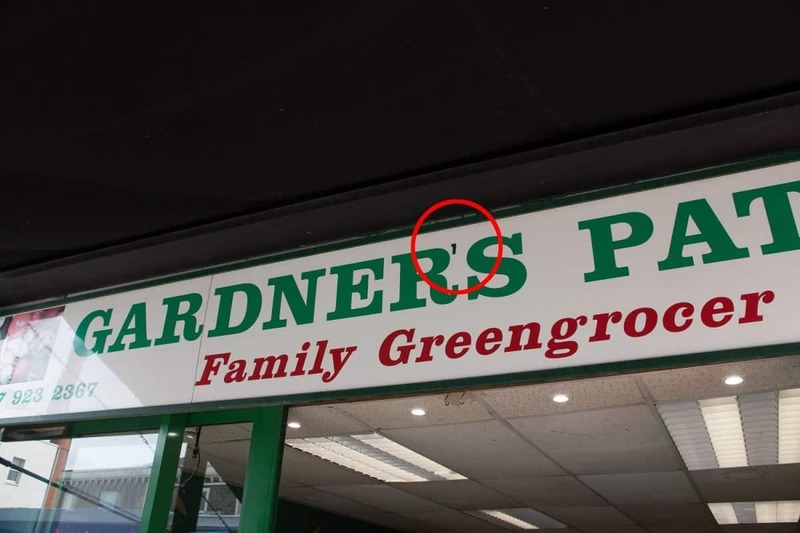 A self-styled grammar vigilante has been correcting rogue apostrophes on a city’s signs – for the last THIRTEEN years. By day the anonymous crusader is a highly-qualified professional with his secret known only to a handful of close family and friends. The vigilante – dubbed grammar‘s answer to Banksy – started his quest when he corrected a shop sign for ‘Amy’s Nail’s’ – removing the second apostrophe. 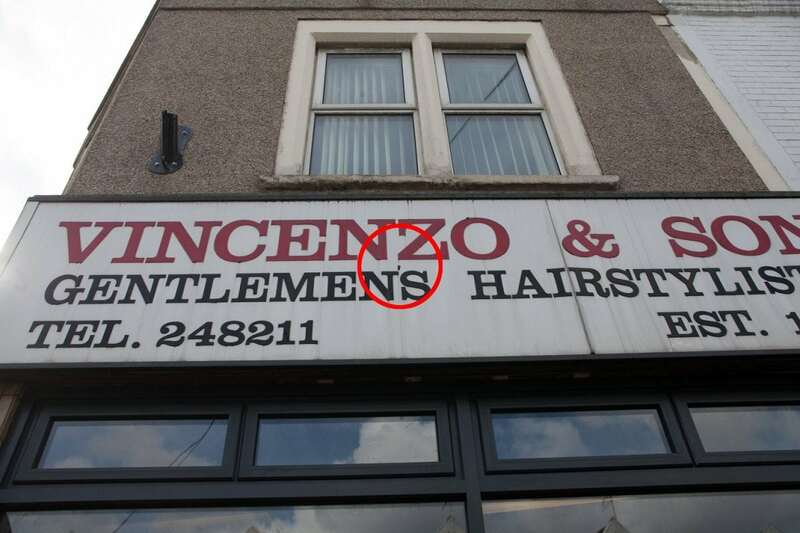 Since then he has put a stop to dozens of other rogue apostrophes around the city – including a hairdressers, estate agents and garages. The man told BBC News: “I’m a grammar vigilante. I do take it to heart – I think it’s a cause worth pursuing. “I’ve been doing it for quite a lot of years now. The vigilante takes care to make his corrections fit in – using the same typeface and colour as the original signs where necessary. He affixes a sticker to cover or add the punctuation mark with his ‘apostrophiser’ – a device on a long pole. One of his most recent corrections was to Cambridge Motors garage in the shadow of HMP Bristol where an errant apostrophe in Motor’s had annoyed him for years. It was successfully changed under cover of darkness – and garage Chris Knight didn’t even spot it the following day. 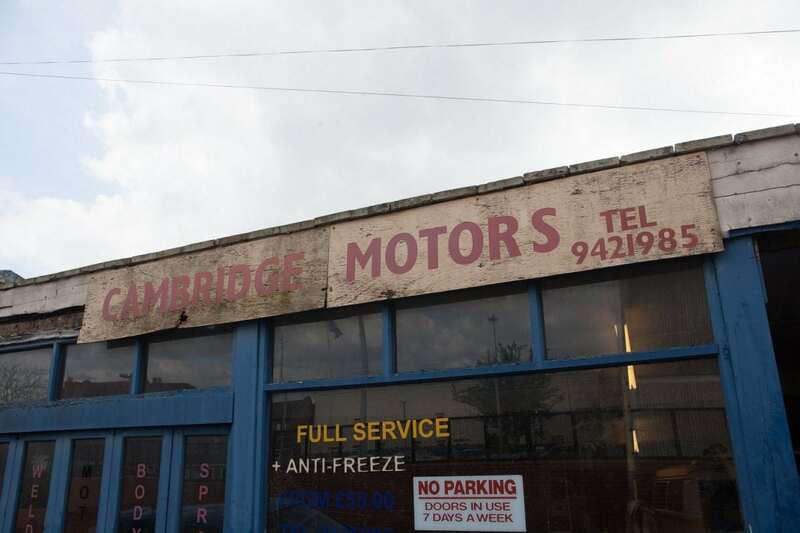 Mr Knight, who has owned Cambridge Motors for 30 years, said: “I thank him for what he’s done. The vigilante denied he was breaking the law and said: “I think you can do it without causing too much offence, and being discreet in how you do it. “I have felt extremely nervous. My heart has been thumping. I’ve got to make sure it’s technically right. Another recent correction was at Tux & Tails in Bristol’s Gloucester Road where he corrected “gentlemans outfitters” to gentleman’s outfitters. Shop director Jason Singh, 42, said he hadn’t noticed the original grammatical error or the change. He said: “I’m not going to lose any sleep over it. I will not be taking any further action. “I have mixed feelings over it really. He could have let me know before doing it, which would have been more professional. A documentary on the man called ‘The Apostrophiser’ will be broadcast tonight on BBC Radio Four.